Industrial floor power troweled concrete is used as a final finishing technique on top of dried, leveled concrete floors. Power troweled concrete provides a tough, durable surface as it seals the commercial or industrial flooring system getting it ready for use. Prior to the final phase of power troweling, the concrete floor needs to be fully complete or repaired to ensure maximum strength and resilience. Concare’s installation team will utilize either the ride-on power trowel or the walk behind power trowel. 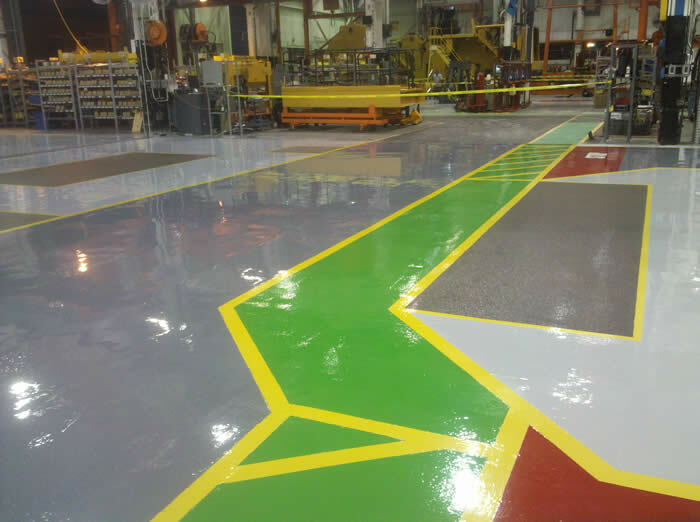 You Concare professional will determine which method is best for your industrial floor power troweled concrete application to provide the greatest protection. Contact Us today to discover how power troweled concrete finishing technique can be of benefit to your industrial concrete floor.